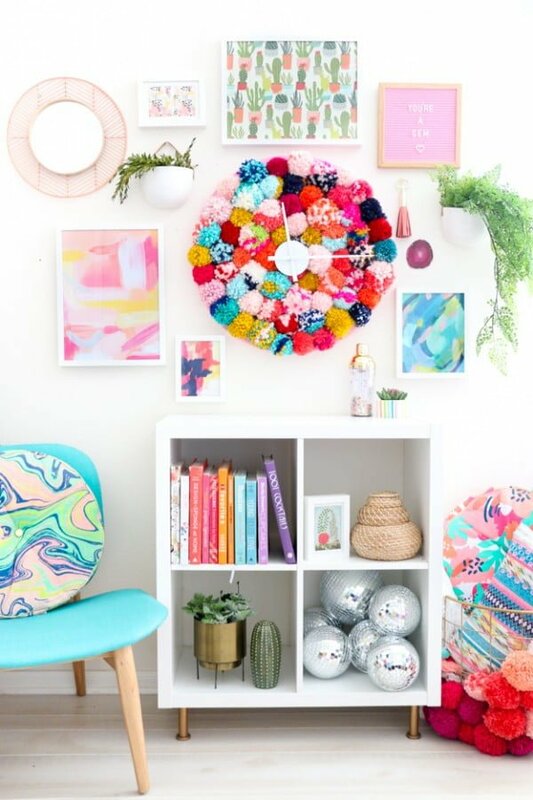 Pom Poms are all the rage, and it’s one of the easiest craft projects to make them for your home decor. Check out these 28 brilliant ideas and get inspired. There are a few crafts that help home decor so much. And this is very easy too. Pom Poms (decorative balls of yarn) can add great accents all around your home in every room. You can use them for special occasions also. And you can choose all the colors you like as well as add texture to neutral themes. 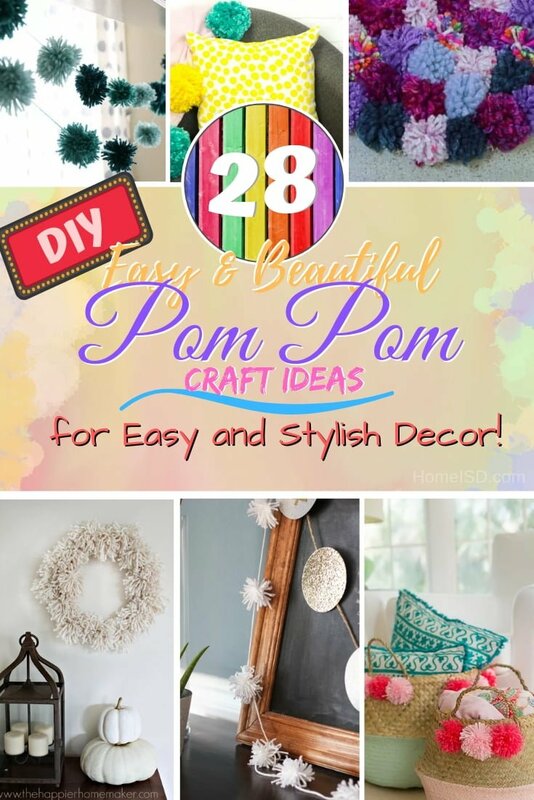 Check out the following craft ideas with Pom Poms for cheap but stylish home decor. 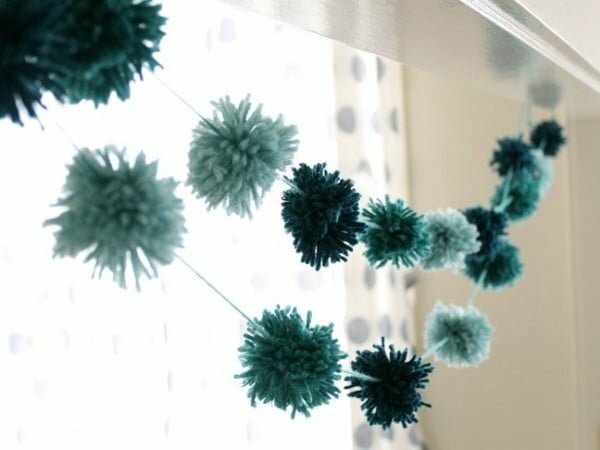 What an amazingly simple and easy DIY Pom Pom garland you can also make the easy way for creative home decor. See the article to get the full details. 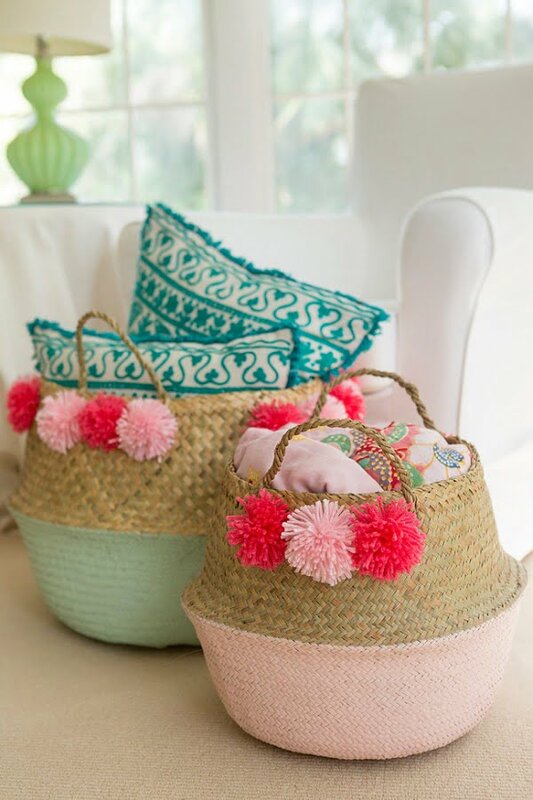 Learn how to easily create your own colorful and stylish Pom Pom basket for around $30-$50. See the entire tutorial to get the instructions. Pom Pom trim is so fun to sew with and adds a fun pop of color to any project. 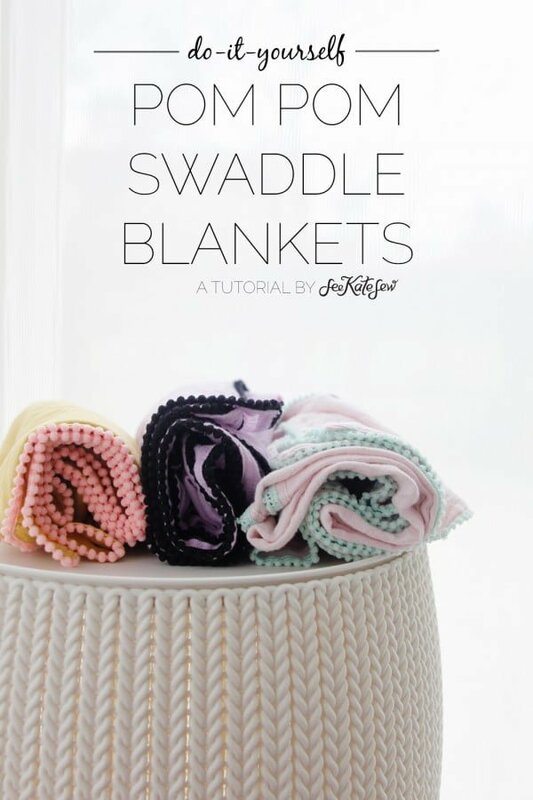 Follow the link to see how to make beautiful Pom Pom blankets. 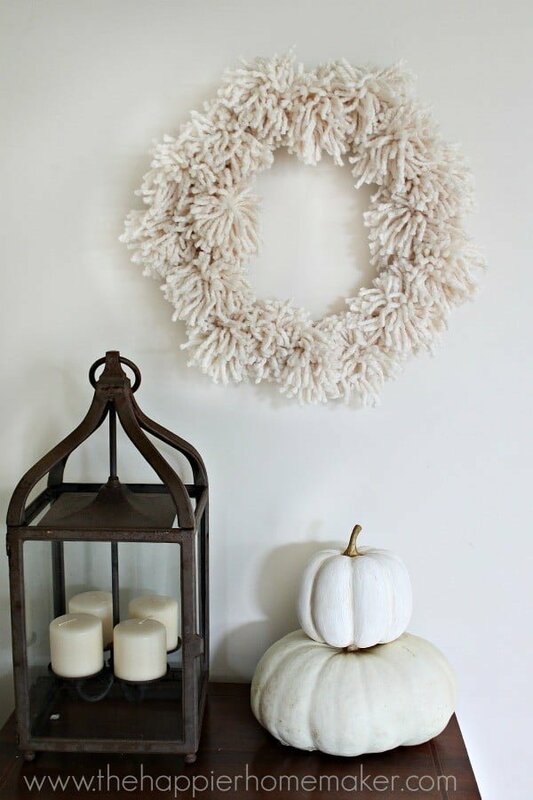 This is a terrific DIY giant pompom wreath you can recreate the easy way, and it works magic to your decor for any occasion. Check out the tutorial to find out how it’s done. 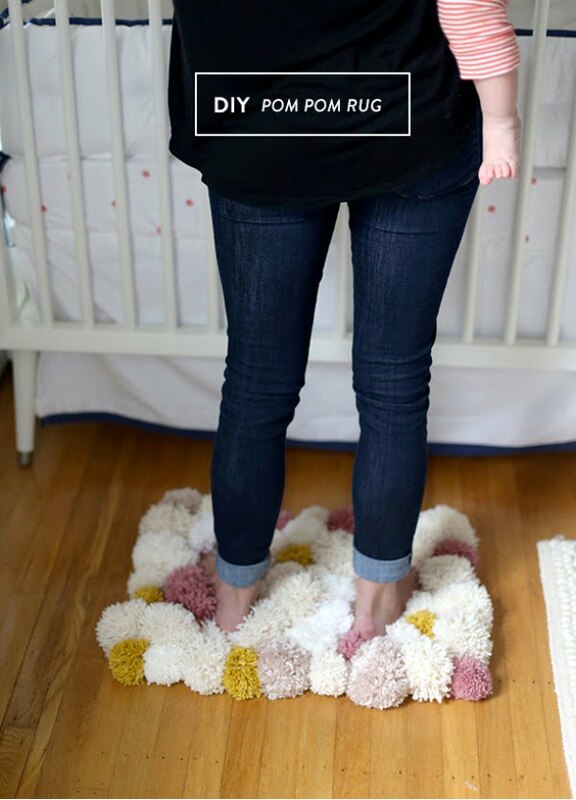 What an amazingly cute and easy DIY Pom Pom rug on a budget. Follow the link to see the full plans and instructions. 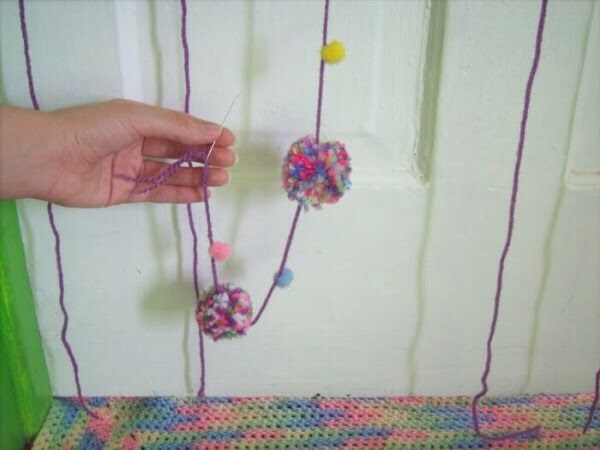 Stacey Smithers shares step-by-step instructions on how to make a playful woolen pompom garland. Follow the link to get the full plans and instructions. 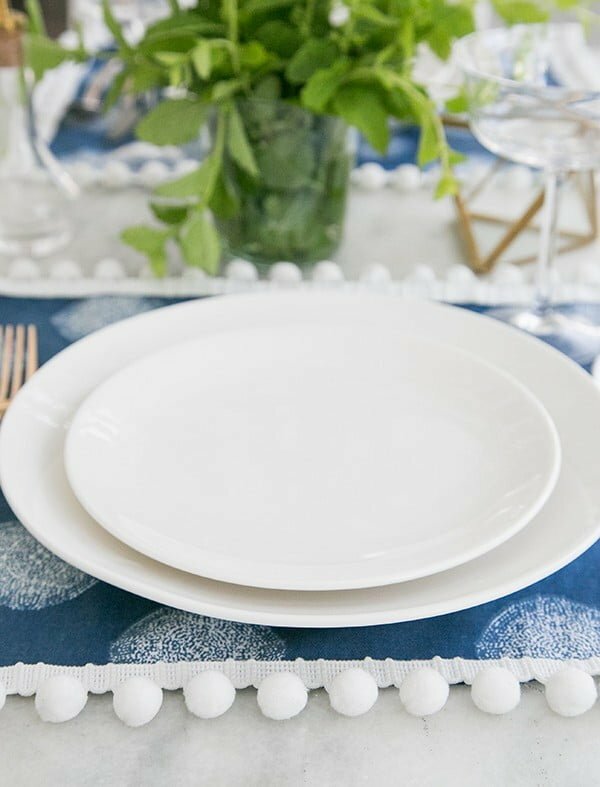 Turn ordinary placemats into these charming Pom Pom placemats with little effort. Choose your fabric and use this fun trim. Check out the tutorial to see the entire plans. This is a fantastic idea on how to make a pom-pom curtain for your room the easy way. Read this website to find out how to do it. 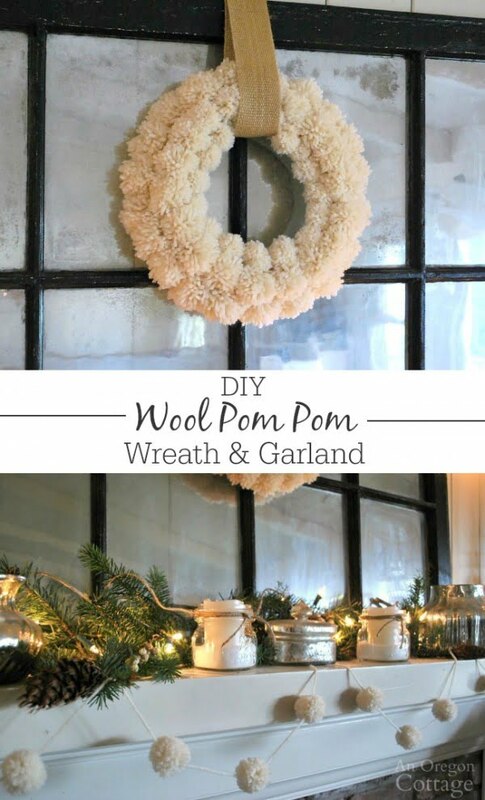 Make an easy wool Pom Pom wreath and garland just like high-end catalogs, but for only pennies each. It takes only a bit of time, but it is fun and worth it. See the tutorial to see the full details. 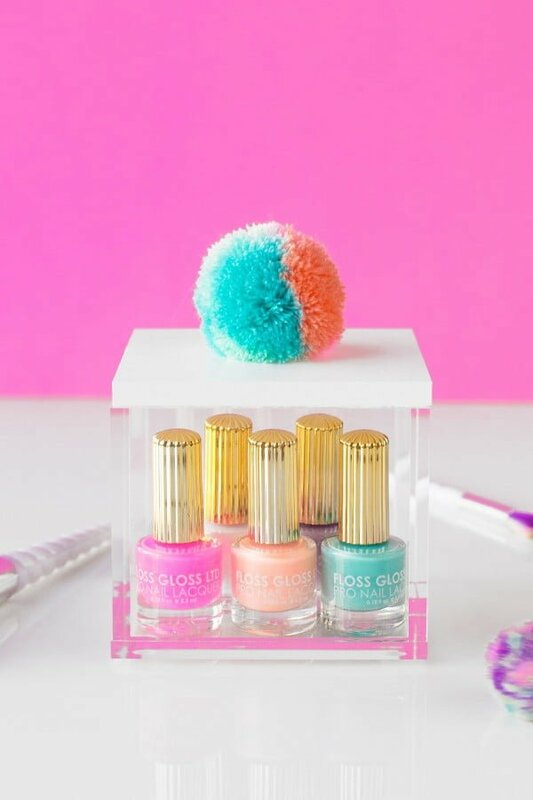 Give acrylic storage boxes a colorful makeover with paint and mod podge to make these DIY pom pom storage boxes, perfect for bathroom or jewelry storage. Follow the link to learn how it’s done. 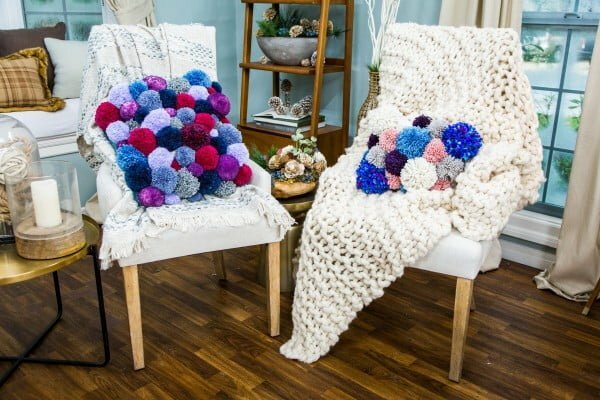 We created a super cute DIY Pom Pom Blanket in less than one hour, and you won’t believe how it turned out. You can customize it with your favorite colors. See the tutorial to find out how to do it. 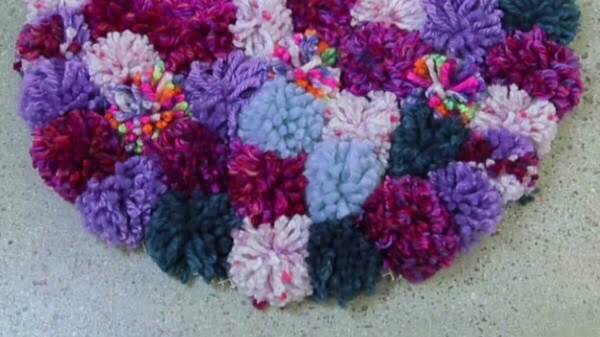 Learn how to create this fantastic DIY Pom Pom Rug. This modern take on working with yarn is the perfect addition to any room. See the link to see the complete plans. 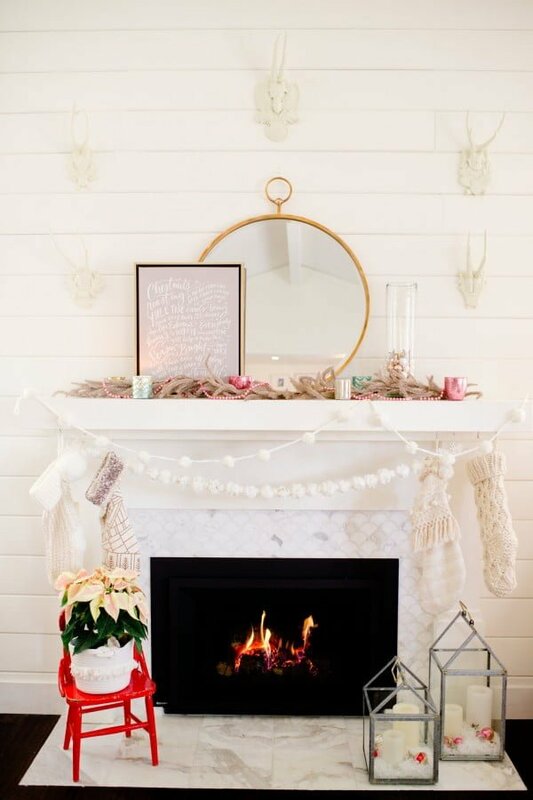 Make this Anthropologie style pom-pom garland with some simple pom-pom makers. Follow the tutorial for the complete instructions. 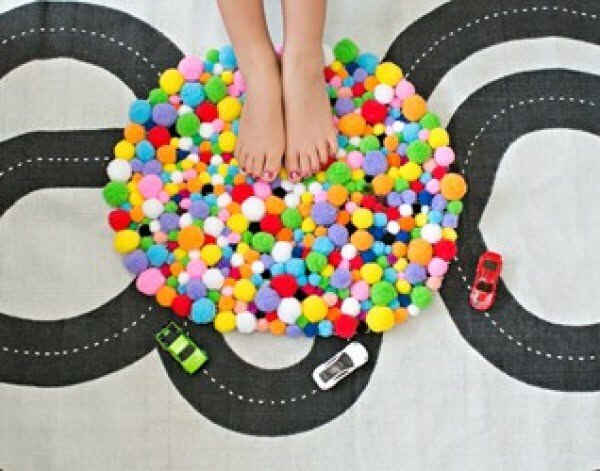 These gorgeous Pom Pom rugs are all the rage and are easy to create with just a few essential supplies. Follow the link to see the entire guidance. Who says yarn can only be used to entertain cats? 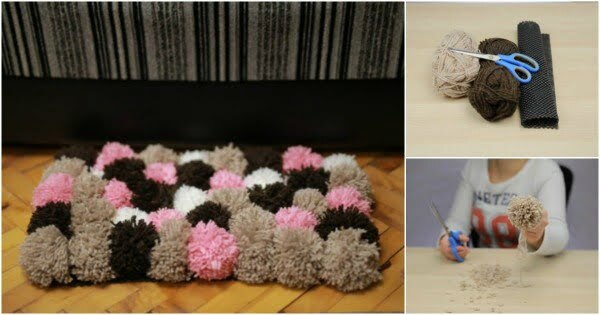 Create this DIY pom-pom rug for your home. Check out this website to see how it’s done. 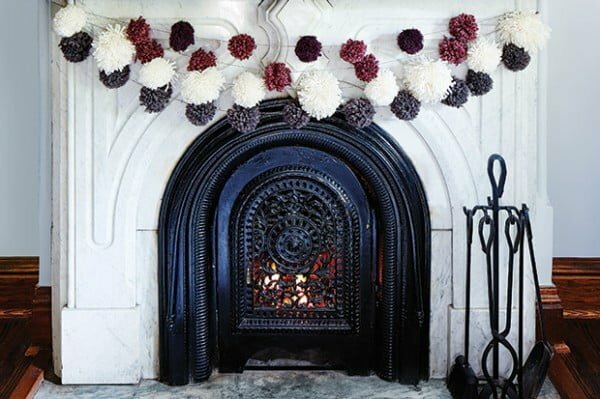 Learn how to make this festive pom pom garland DIY. Follow the article to find out how it’s done. Garlands instantly take a party up a notch, especially when they’re homemade. 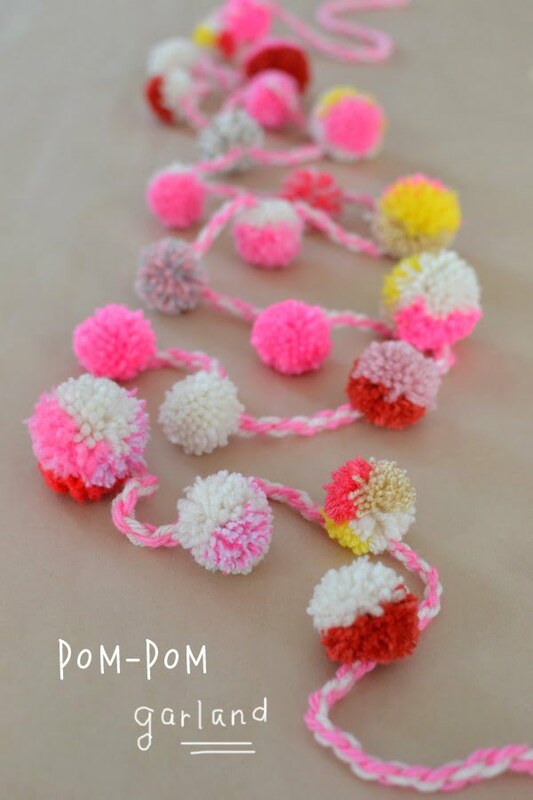 This Pom Pom one is a straightforward one to make, requiring no special tools or skills. It’ll make a significant impact at your next event, and you can reuse it again and again. Check out the link to see the entire plans and instructions. 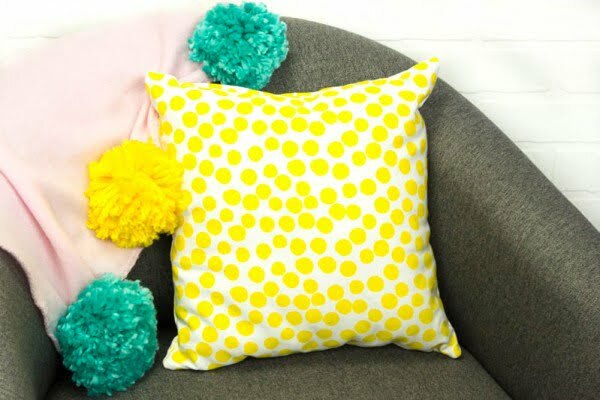 What a terrific DIY pom pom pillow on a budget. See the tutorial to get the complete guide on how to make one. Love neutrals? 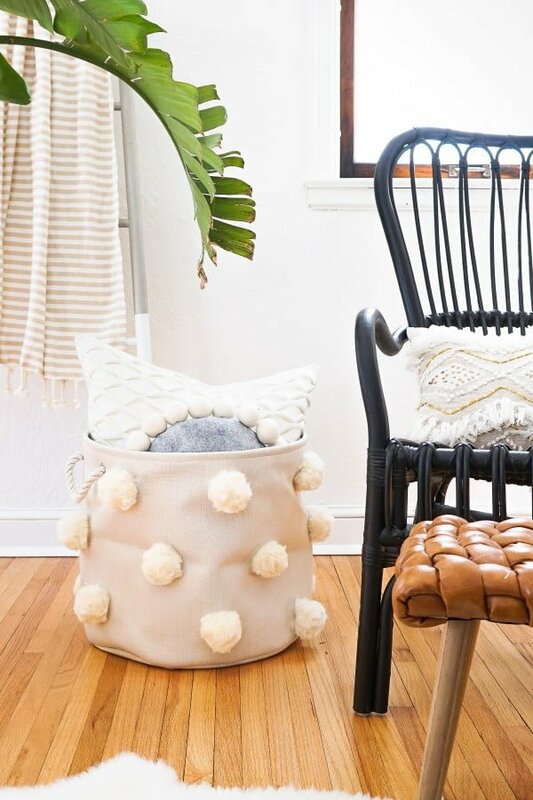 This DIY fluffy pom pom bin provides a nice bit of texture while hiding those less than neutral unsightly odds and ends. Check out the tutorial to learn how it’s done. 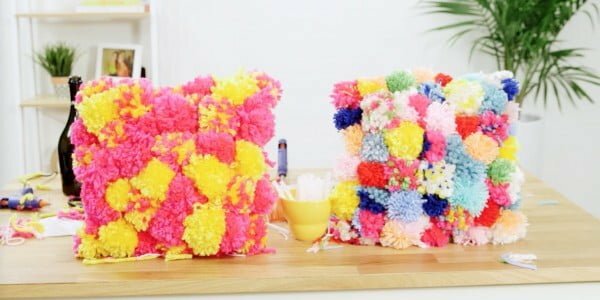 If you love working with pom poms, you will have a blast making this fluffy pom pom rug. It’s a super easy project which requires just three supplies. See the link to learn how it’s done. 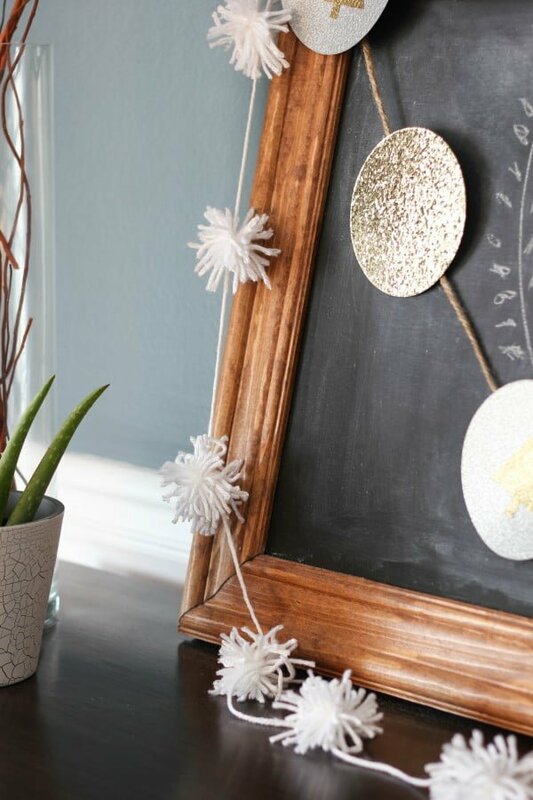 Make this fantastic Pom Pom clock as a huge home decor statement. Read this website to get the entire details. 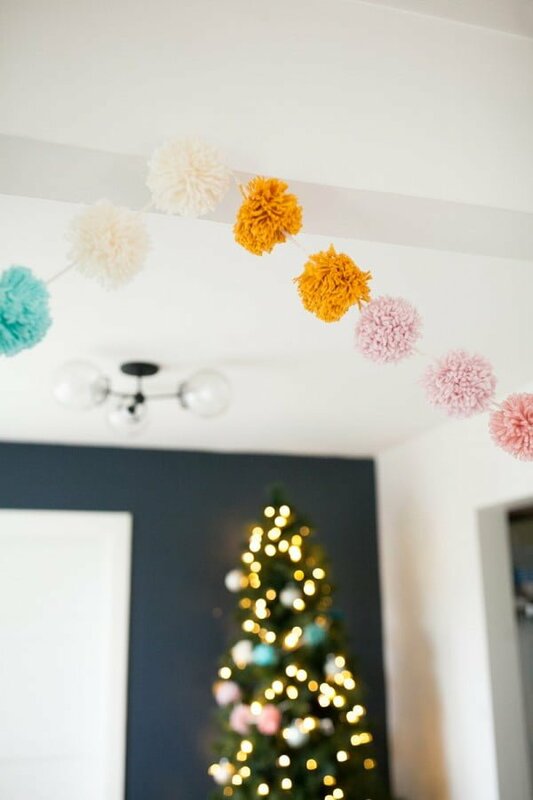 How to make a pom pom garland for under $10. A great DIY craft project to help you decorate your home. Follow the link for the full details. Orly Shani is updating ordinary pillows and turning them into a work of art. Check out this website to find out how it’s done. 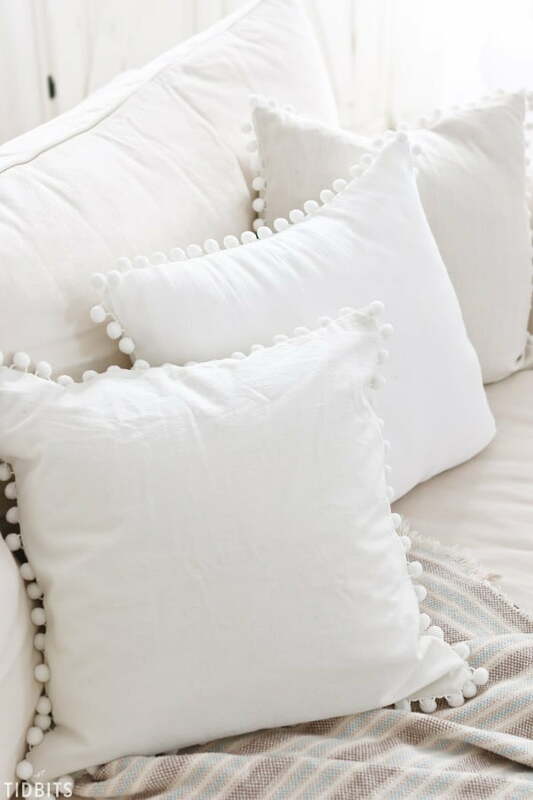 Make the Pom-Pom pillows as the ultimate wine night craft the easy way. Read the tutorial to learn how to do it. 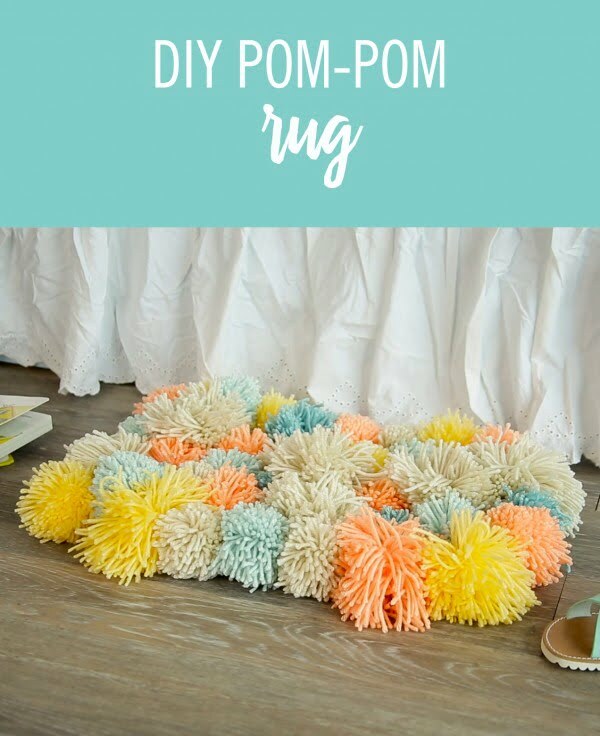 This is a fun and easy DIY pom pom rug for a home decor project. Read this website to get the full details. 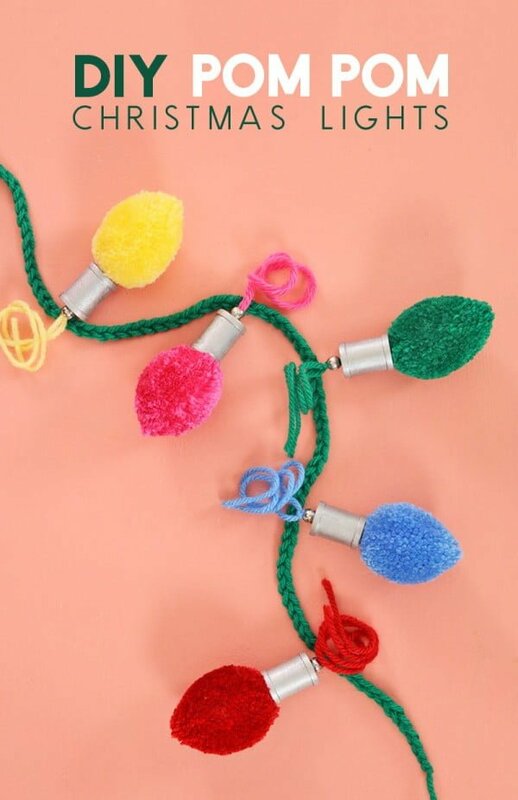 Learn how to make festive pom-poms shaped like retro Christmas lights. This simple little holiday craft is a fun project to make and decorate your home for Christmas. Read the link for the entire plans and instructions. Want a colorful and fun wreath that is perfect for more than just one season? 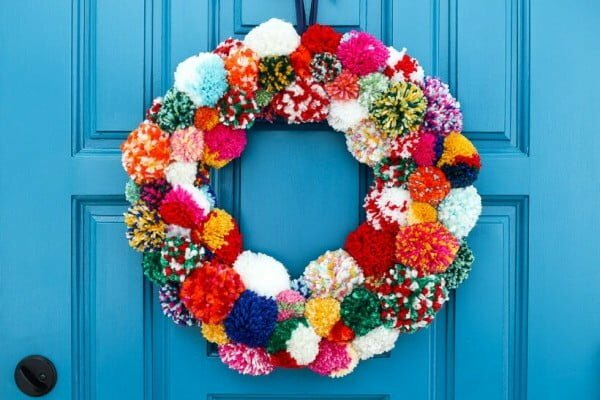 This DIY pom pom wreath is for you. Read the tutorial to learn how to do it. 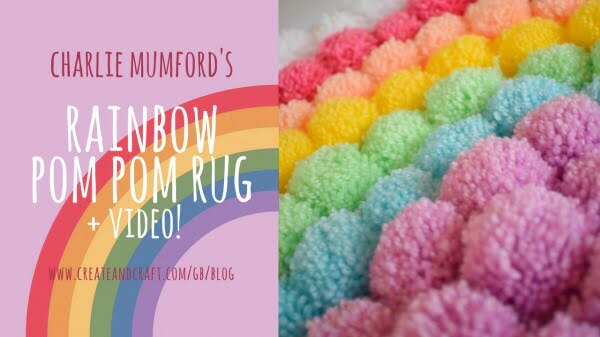 If you thought your rug was soft, wait until you try this DIY Pom-Pom Rug. It will add a fluffy accent to any room. Read the article to get the complete details and instructions.